The Knight Industries Two Thousand (K.I.T.T.) was an experimental vehicle developed by the Knight Foundation as a deterrent to criminal activity. Outfitted with numerous cutting-edge technologies — most of them defensive and nonlethal — the car’s systems were controlled by an advanced artificial intelligence, partnered with a human operator. 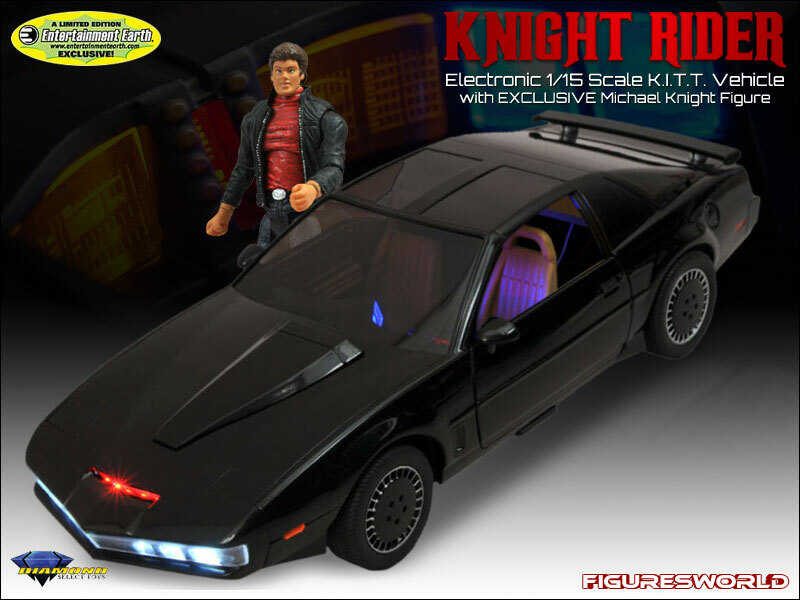 This 14-inch replica is based on K.I.T.T.’s appearance in the 1984 television series Knight Rider, and is capable of replaying key dialogue and sound effects from the original broadcasts at the push of a button. Features the original voice of K.I.T.T., authentic sound effects, and light-up fog lights, tail lights, sensor bar, voice box, instruments and monitors! In this EXCLUSIVE version also included the Michael Knight figure.